For the very first time, Manchester United will be bringing its hugely popular fan event #ILOVEUNITED to Dubai on Sunday April 28. The event, hosted at Soho Beach DXB, Al Meydan Road, promises the same thrill and excitement of previous #ILOVEUNITED events held around the world. However, this time it is on a much bigger scale, as the event will also be connected digitally with fan viewing parties around the world, hosted by the club’s official supporters clubs and commercial partners, allowing some of the club’s 659 million followers to share their passion for the club with one another. 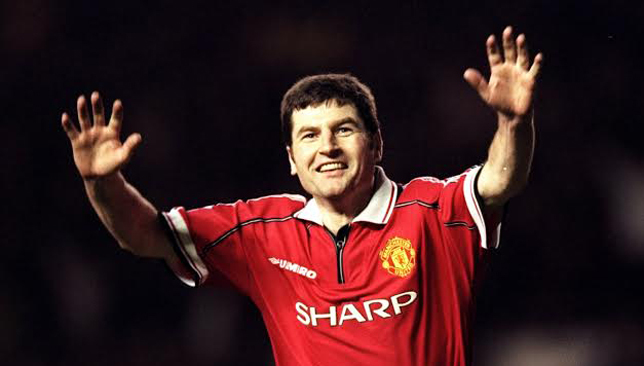 From United’s famous 1999 treble-winning team, club ambassadors Denis Irwin, Andy Cole and Dwight Yorke will be in Dubai meeting fans, sampling local culture and providing pre-match views and post-match analysis of the game. Fans will also be able to enjoy live entertainment, giveaways and competitions, courtesy of the club’s commercial partners. The #ILOVEUNITED event is free to attend and fans can apply online for tickets by visiting www.manutd.com/iloveunited no later than Wednesday, April 17. Applications will then be entered into a ballot, with tickets issued at random. Successful applicants will be notified by email no later than Monday, April 22. But United’s inability to take their chances came back to haunt them, with Diogo Jota levelling before Ashley Young’s second-half red card was followed by Chris Smalling turning into his own net. 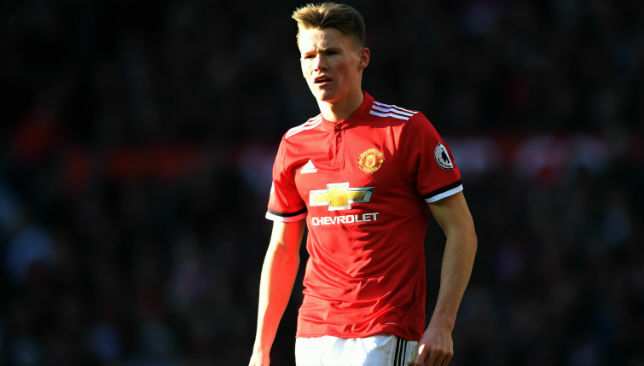 “I thought we handled it quite well, but it’s never easy to go down to 10 men and they can switch the ball and keep it,” McTominay told MUTV. United have the weekend off after losing last month’s FA Cup quarter-final to Wolves, who are champing at the bit ahead of their first semi-final in 21 years. Ahead of taking on Watford at Wembley on Sunday, goalscorer Jota said: “Tonight our performance was good. “It’s hard against a team like Manchester United when they start like that – it requires a lot to come back, but our performance was good and it’s a good boost for Sunday. “Each game is very important for us and we give all the best, every single match. It was just one more game in the Premier League. Ole Gunnar Solskjaer has work to do. The honeymoon is over. Three losses in their last four games in all competitions – their worst four-game run all season – have darkened the clouds over Old Trafford after the prolonged happiness during the beginning of Ole Gunnar Solskjaer’s reign. 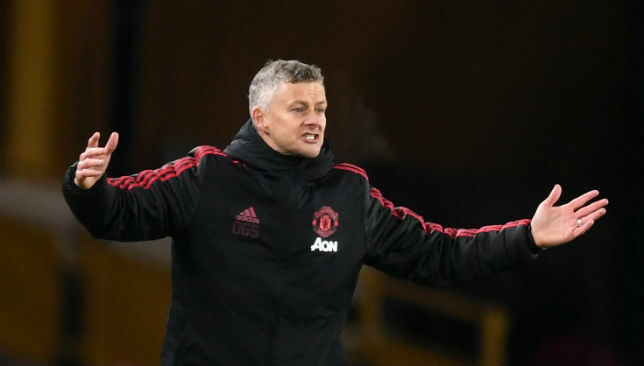 Three games aren’t enough to erase the credit Solskjaer earned during his 12-game unbeaten start in the league as United manager after taking over from Jose Mourinho, but some of his predecessor’s common complaints must now be popping up in the Norwegian’s head. Tuesday night’s loss to Wolves was particularly disappointing because of the way United had started. They could easily have been 3-0 up, with Romelu Lukaku and Jesse Lingard both sending point-blank headers straight at goalkeeper Rui Patricio either side of Scott McTominay’s goal, his first for the club. What must be harder for Solskjaer to stomach is the way United capitulated after conceding the equaliser – itself an unfortunate moment in that it came through an error from Fred, who apart from his failure to control, under no pressure, an admittedly over-hit pass from David de Gea, had an excellent game. As Solskjaer is fond of reminding everyone, this is Manchester United. Even against a side as impressive as Wolves have been this season, it shouldn’t be so hard for the Norwegian’s team to impose their will on a game. And therein lies the problem that Mourinho had already identified. This team doesn’t have the ability to control a game on a regular basis. Fred was brought in to be a deep-lying midfielder and play that role, but until he cuts the mistakes out of his game, he will never completely instill confidence. Then of course there’s the issue of Paul Pogba, who after looking rejuvenated in Solskjaer’s first two months has reverted to the inconsistent, maddening player who so frustrated Mourinho. Against Wolves he was anonymous, as if he was either still in France where he’s been dominant for the national team or already in Madrid, where apparently he would like to be playing. United won’t countenance selling him this summer, and he may be unaffordable for Real Madrid anyway given the number of players they intend on buying during their rebuild in the next transfer window. And there’s a good chance that Pogba’s comments during the international break about dreaming of playing for Zinedine Zidane in the famous white shirt of Madrid was as much a notice to United ahead of upcoming contract negotiations, when he is sure to raise doubts about his ability to win anything of note in current surroundings, as it was a come-and-get-me plea to Madrid. But Solskjaer would be entitled to ask Pogba about his own contributions. On top form he looks like one of the best midfielders in the world, but how often have United seen top form from the 26-year-old when it’s mattered? In any case, even if Pogba’s future at the club were completely secure, United still need another midfielder, someone who can help Fred dictate play and recycle possession and set Pogba up to add his genius whenever necessary. And there’s the defence, which this season has never been more than acceptably solid at best, and is shambolic at worst. Even after Fred gave the ball away on Tuesday, the defence could have prevented the Wolves opener; as for the second-half Chris Smalling own goal that gave United the loss, the less said the better. Smalling and his compatriot Phil Jones seem to be stuck in a cycle that has gone on their entire United careers, which began in 2011 for both. They will string a handful of good games together, throw in one error-strewn display, get injured, come back, and repeat the same steps. If this side is to truly compete for major trophies again, they need one, if not two, top-class centre-backs, players the promising Victor Lindelof can learn from, and can keep Smalling and Jones away from the first-choice XI. Likewise, they need a new right-back: the 20-year-old Diogo Dalot has potential but isn’t yet a player who should be making the starting XI for a title contender, while Ashley Young, who lost possession a whopping 19 times against Wolves and was a candidate for United’s worst player even before he was sent off, should be eased into retirement rather than start regular – as de facto club captain, to boot. And this is where United’s decision-making comes under question: Young, Jones, and Smalling were all handed new contracts this year. The club have made no secret of the fact that they’re targeting a centre-back and right-back in the transfer window, so why spend money on three players in those positions that shouldn’t have a future at the club? Solskjaer already knew it and the last four games have made it clear: there is a lot of work to be done before the statement “this is Manchester United” can mean what it used to again.